Abu Dhabi: The UAE government has allocated Dh5 billion to invest in “state-of-the-art” infrastructure for schools over the period of six years, Emirates News Agency (WAM) reported after a meeting of the UAE Cabinet on Sunday. During the meeting, the Cabinet, chaired by His Highness Shaikh Mohammad Bin Rashid Al Maktoum, Vice-President and Prime Minister of the UAE and Ruler of Dubai, reviewed the progress of the ‘Emirati School Model’. The meeting was also attended by Lieutenant General Shaikh Saif Bin Zayed Al Nahyan, Deputy Prime Minister and Minister of the Interior; and Shaikh Mansour Bin Zayed Al Nahyan, Deputy Prime Minister and Minister of Presidential Affairs. The Emirati School Model is implemented in 800 public and private schools following the curriculum of the Ministry of Education. It aims to prepare generations capable of achieving the objectives of UAE Vision 2021 and UAE Centennial Strategy 2071. Earlier, in September 2018, the Cabinet had approved a federal budget of Dh60.3 billion for the year 2019, with education to receive Dh10.25 billion. On Sunday, the Cabinet reviewed the progress of the Emirati School Model, which was announced in September 2017, to advance the national curriculum and unifying teaching and assessment in schools following the ministry’s curriculum. Maths, science and languages are emphasised in the model. Currently, there are more than 9,000 students learning Chinese and French in the UAE schools, Wam reported. The model aims to implement international standards that meet the needs of the job market, through a modern curriculum that offers different educational fields, as well as a focus on student recreational activities to enhance the knowledge, skills and personalities of school students. When it was launched in 2017, the model aligned the education systems of the federal ministry and Abu Dhabi Education Council (Adec), now known as Abu Dhabi Department of Education and Knowledge (Adek), to achieve a standardised education system. Under the model, the ministry will monitor schools in the emirate of Abu Dhabi to ensure they comply with its laws, regulations and policies. Adek will meanwhile assess schools’ performance in annual inspections. The process of standardising the education system also means the continuation of teaching Science and Maths in the English language. The Cabinet also adopted the Federal Law on senior Emiratis as an integrated care system to ensure a decent life for them and at the same time to ensure their active participation in society. The law covers their health, treatment, rehabilitation, services, and rights. The Cabinet also adopted a federal law on the regulation and possession of dangerous animals in order to ensure that the community is protected from any harm caused by these animals and from diseases that can be transmitted to other animals. The law also ensures that dangerous animals receive appropriate care at specialised centres. The law also defines the types and species of predators that are prohibited to be possessed by individuals or unauthorised institutions, thereby also addressing the practice of keeping such animals as exotic pets, which endangers the safety and wellbeing of people and animals alike. What is Emirati School Model? 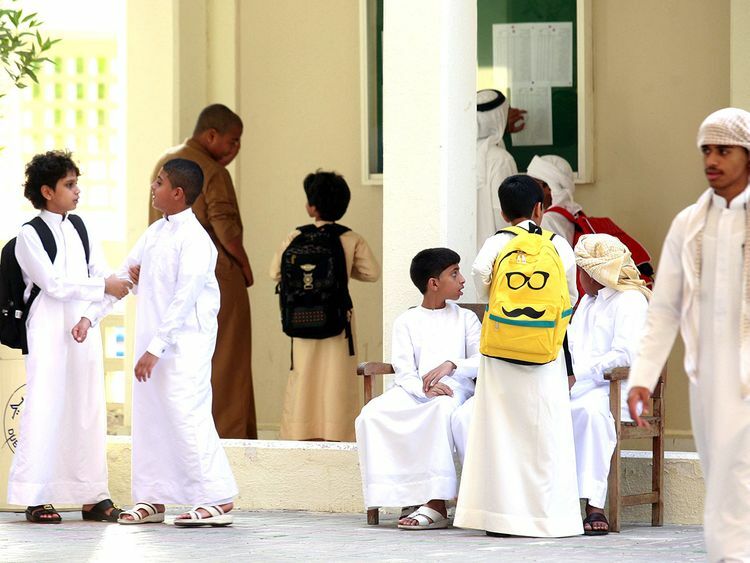 It followed a spate of moves to standardise and unify all sectors of education in the UAE, including the 2016 unification of the Ministry of Higher Education and Scientific Research with the Ministry of Education, and the introduction of a unified inspection system for private schools in 2015. Under the model, the ministry will monitor schools in the emirate of Abu Dhabi to ensure they comply with its laws, regulations and policies. Examinations and assessments for Islamic Education, Arabic Language, and Social Studies will be standardised for all grades.